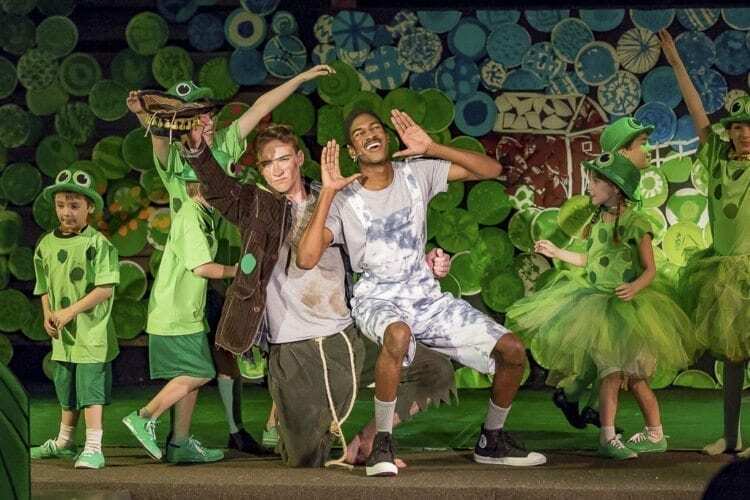 VANCOUVER— “Honk Jr.,” the first production in Vancouver by CYT Vancouver/Portland, flies onto the stage of the New Hope Foursquare Church to delight audiences with a tale that shows the beauty in being different. CYT Vancouver/Portland is a branch of the national Christian Youth Theater production company, and has been in the Portland area for about three years, according to Director Myronie McKee. 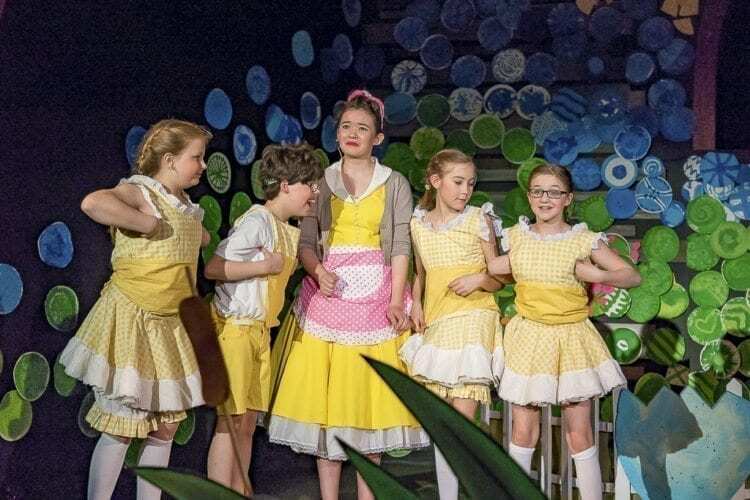 “Honk Jr.” is the first CYT production in Vancouver under the current organization, and McKee said that by expanding into Vancouver, the company can start growing more locally. McKee said that, as the name implies, CYT is rooted in Christian values and teaching. The theater company places an emphasis on helping the students grow as people, and on developing positive character traits. “We care deeply about each child and we really want to help them grow as a person,” McKee said. McKee said that by opening productions in Vancouver, CYT will be able to benefit more kids. “Honk Jr.” is a musical adaptation of the story of “The Ugly Duckling.” McKee said that the story follows the journey of a young bird that is not accepted by his family, or most in society. However, his mother supports and believes in him. According to McKee, directing the play is “a lot of fun, and a little bit of chaos.” She explained that it is such a rewarding experience because as the director, she sees first hand how the students grow and develop in their skills. Many of the children in “Honk Jr.” had never acted or sang before, and watching them develop those skills was very rewarding, McKee said. 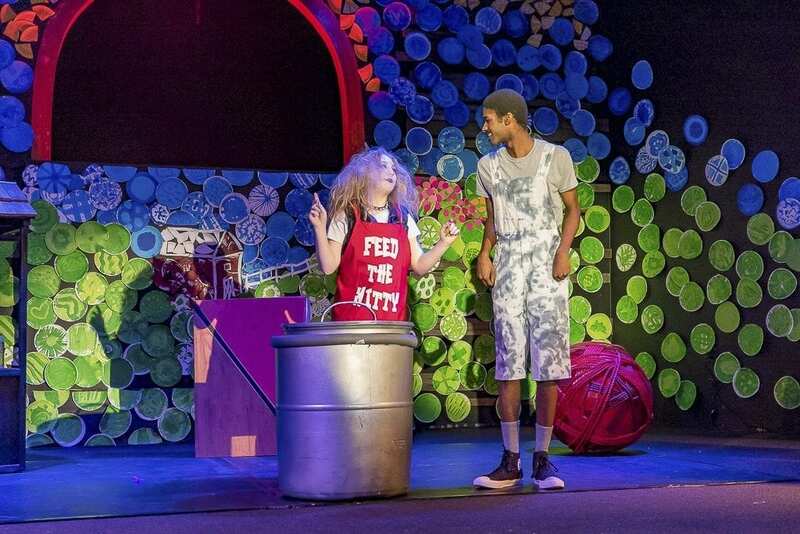 For students in the play, “Honk Jr.” gives them the opportunity not only to learn and hone acting and performing skills, but to also help spread a positive message through theater. Trenton Harris, who plays the Ugly Duckling, said that his favorite part about acting is that “I get to use the gift that God’s given me.” He said that he used to suffer from stage fright, but working with CYT helped him overcome it. Harris said that he enjoyed playing the role of the Ugly Duckling because his character delivers a message that “different can be a very beautiful and wonderful thing.” He said that it helps viewers think about life from a different perspective. For Harris, one of the best parts of participating in the CYT production is watching the cast come together in the final production. He said that working with them is great, and they are a very good group of people. Elora Neal-Juhala, who plays a villainous cat in “Honk Jr.,” said that she loves the people she gets to work with at CYT. She said that she is glad to be a part of the first CYT Vancouver show and that she can help start that division of the company. For Neal-Juhala, playing a villain is a new experience, but exciting. “I love being able to be the bad guy,” she said, as it presents unique opportunities and challenges. CYT is a national youth theater program that accommodates youth from age 4 to 18, and is the largest youth theater program in the country, according to information provided by the company. One of its primary goals is to promote the development of character in its students through artistic training. “Honk Jr.” is showing at the New Hope Foursquare Church, located at 1801 NW Daniels Street, Vancouver, WA, 98660. It opened Friday. Additional showings are on Sat., Mar. 10 at 2 p.m. and 7 p.m., Wed., Mar. 14 at 10 a.m. and 12:30 p.m. and on Sat., Mar. 17 at 7 p.m.
Tickets can be purchased online at https://www.cytportlandvancouver.org/shows/Honk-Jr/2. For more information about the Portland/Vancouver branch of CYT, visit https://www.cytportlandvancouver.org/.